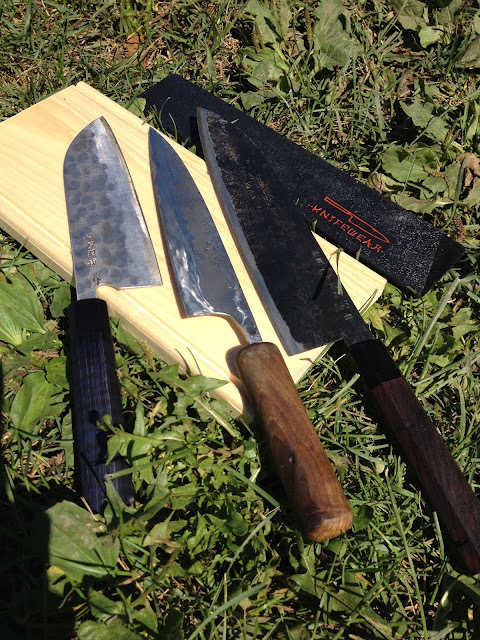 Knife Sharpening Using Traditional Methods: Professional Sharpening - My biggest challenge. 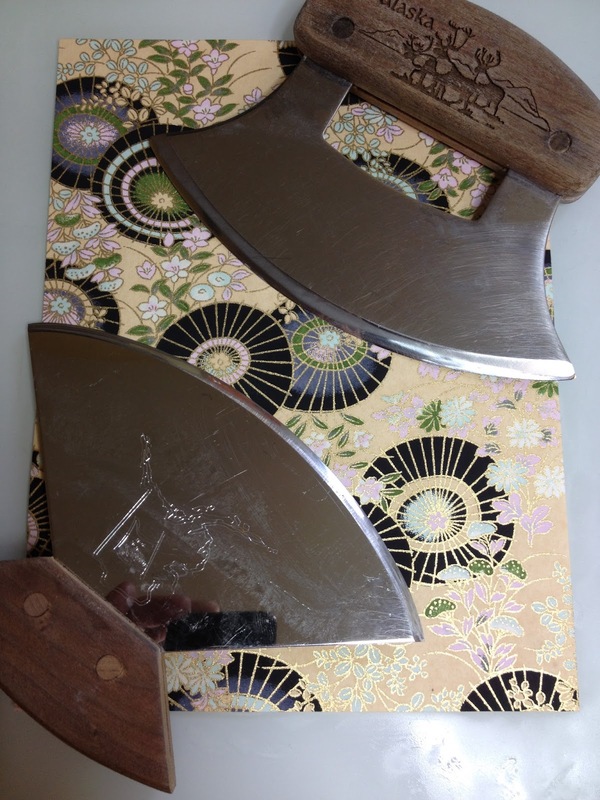 When I first decided to open my business many years ago, the process of sharpening a knife was of supreme importance, I suspected at that time that it would always be my biggest challenge. That was then, this is now and I can confirm that the process of sharpening the knife, taking it from the dullest state possible to the sharpest condition that I am capable remains supremely important. It is not my biggest challenge however. The Ulu, while forcing me to use a slightly different technique is not too difficult, we all face obstacles that we figure out a way to overcome, it happens daily in our lives. 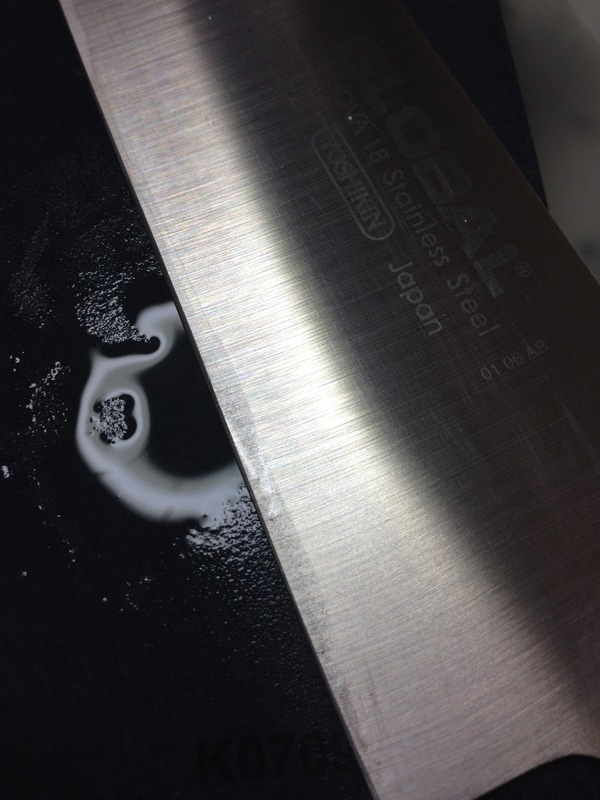 My problem is convincing people that their knives, once I sharpen them, will become dull again. It is especially frustrating with some restaurant knives where I sharpen them and they get well used and see some abuse and the users of the knives are surprised that they get dull again in a couple weeks or so. I cannot stress the point of adopting a sharpening plan enough. Whether it is learning to sharpen them yourself or having them professionally sharpened, it is the key to "staying sharp" happiness. The funny thing about knives is that regardless of the price/quality of the knife, dullness is just around the corner but the really cool thing is that it is very easy to avoid. Get the knife sharpened and keep it that way by either adopting a good maintenance/resharpen regime or just have it resharpened every 6-8 weeks. 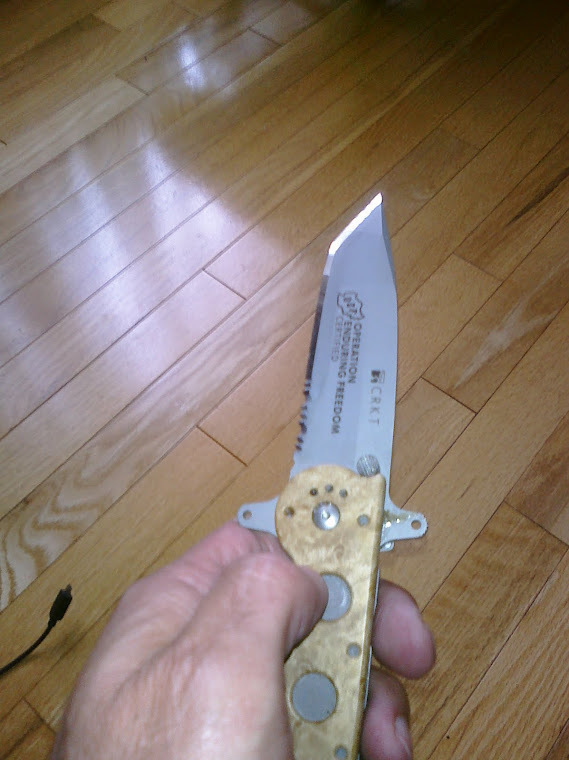 It is real shame when people purchase an expensive knife, $200.00 plus and they use it dull. 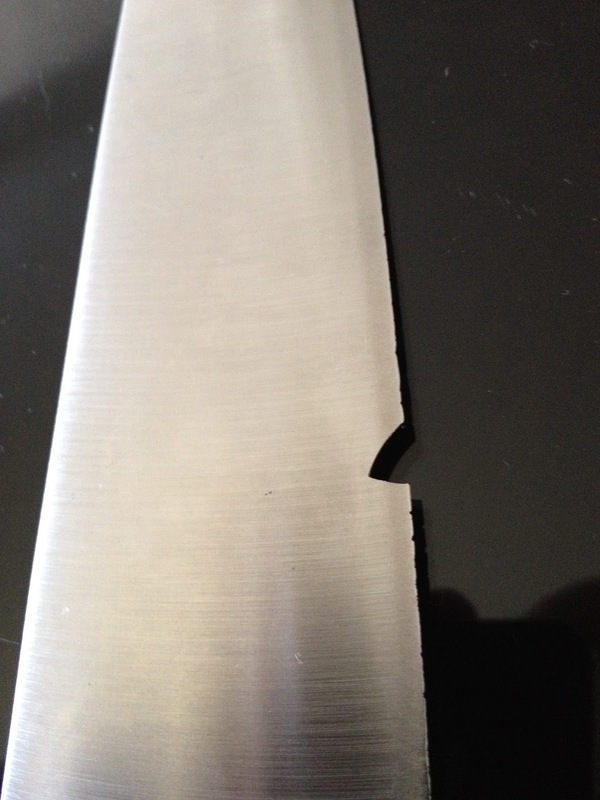 Chefs should never have to prepare food with anything less than a razor sharp knife. I know it is easy for me to say that because Chefs are incredibly busy, it is stressful life, regardless, getting sharp and staying sharp should be part of their life. I know it is with many. So the process of knife sharpening is not my challenge, it is something that I truly enjoy and I am very confident with. It just won't stay sharp forever and if someone ever tells you that they have completely solved the edge retention riddle and can promise eternal sharpness......well you know what to do. Now the edge retention in knives like the three beauties here will be vastly different than your average Henckels or Grohmann. However, even these amazing knives get dull, and funny enough, people who own these knives love to use them so they get a lot of action which leads to them becoming dull again. Easy and quick to get back to life though, from dull to beautiful happens quickly. I realized I forgot to insert the After shot of the Global that was damaged by the dishwasher pictured above. Here it is, just for kicks. 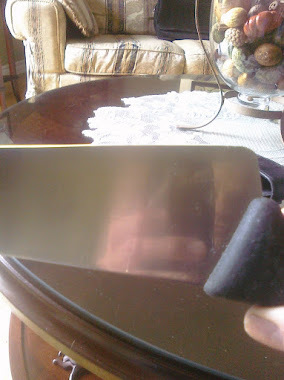 I did the repair work on a 320 grit Shapton Pro stone, it took me about 45 minutes in total to repair, reset the bevels and sharpen the knife. Thanks! I always enjoy the posts in your blog. I have an issue with chips. I am quite reluctant to remove such an amount of material. It happens with hard steels in both knives and razors (yes, I shave with a straight razor). 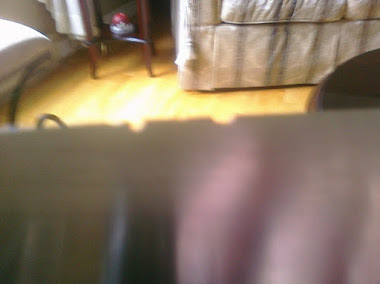 IMHO, as far as there is not a significant part of the edge involved, I leave the chip out there instead of removing a whole lot of material from the blade. This is specially true with blades that have a differential heat treatment (hardened just in the edge, and the rest of it remaining mild).